Eliminating the need for two products, our masque/scrub has a dual function. You apply like a scrub, let the product dry, rescrub to further exfoliate and wash off. 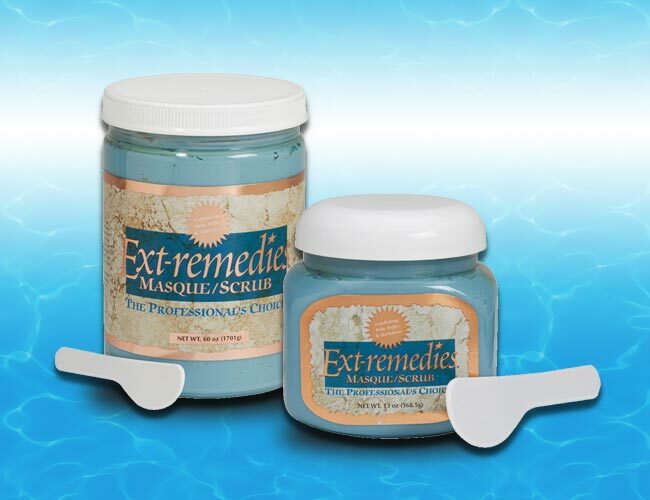 Our Masque/Scrub is completely safe for your whirlpool equipment as it does not contain sand or pumice. This product is truly a spa level service. Your clients will feel the difference with this high end formulation. What is so unique about your scrub? It is a combination product, both a masque and scrub. It will exfoliate and buff the skin while enjoying the wonderful fragrance. Apply a thin layer over entire area. Massage lightly. 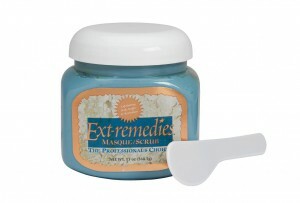 Allow to dry, then re-wet hands and massage again to further exfoliate and buff the skin. Wash off and your ready for lotion. How else can clients benefit from this product? 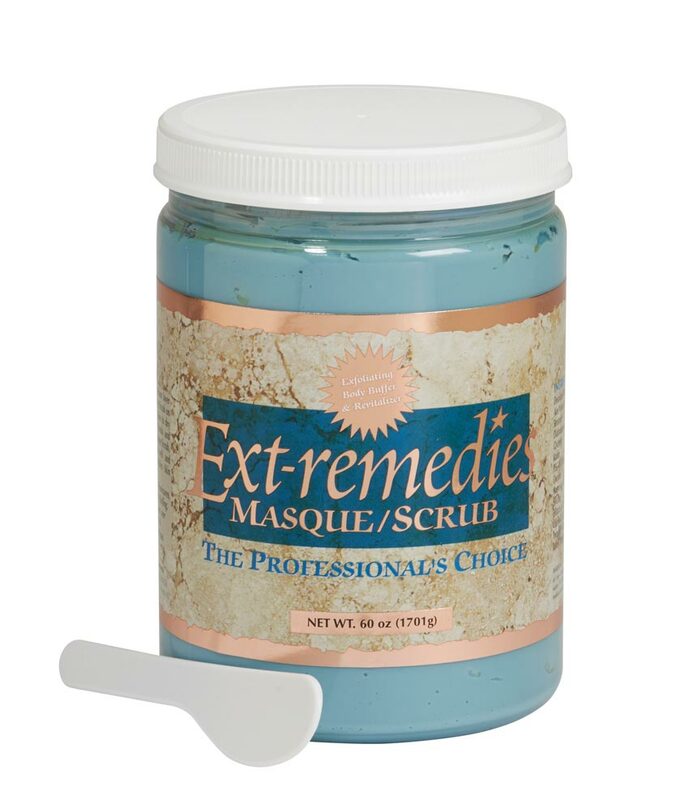 What is the granule in Ext-Remedies Masque/Scrub? Will the Masque/Scrub harm your whirlpool footspa? No, because Diatomaceous Earth is not porous or sharp and will not scratch your tub linings.